With its extraordinary defensive hairs, a Colombian tarantula proved itself as not only a new species, but also a new genus. It is hypothesised that the new spider is the first in its subfamily to use its stinging hairs in direct attack instead of ‘kicking’ them into the enemy. Described in the open access journal ZooKeys by an international research team, led by Carlos Perafán, University of the Republic, Uruguay, the name of the new spider genus honours an indigenous people from the Caribbean coast region, whose language and culture are, unfortunately, at serious risk of extinction. Meanwhile, its species’ name pays tribute to renowned Colombian author and Nobel laureate for his novel ‘One Hundred Years of Solitude’ Gabriel García Márquez. 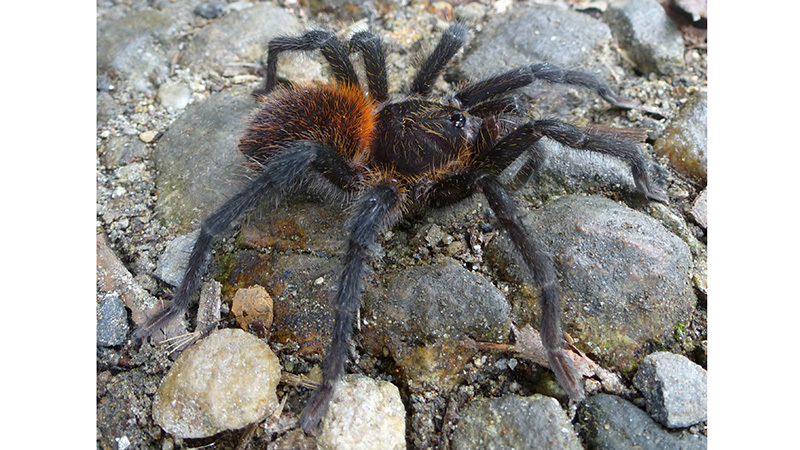 The new tarantula, formally called Kankuamo marquezi, was discovered in Sierra Nevada de Santa Marta, Colombia. When examined, the arachnid showed something extraordinary about its defensive hairs and its genitalia. The hairs were noted to form a small oval patch of lance-shaped barbs, hypothesised by the scientists to have evolved to defend their owners by direct contact. 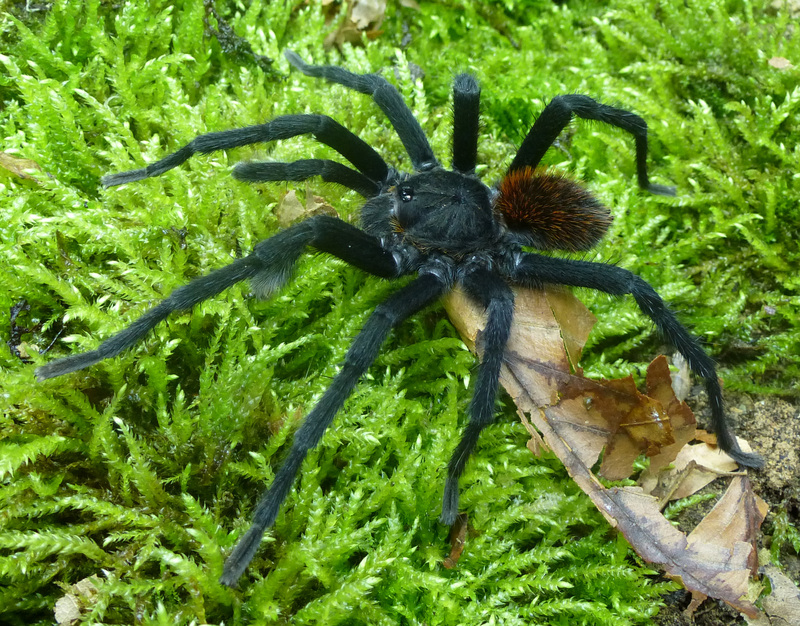 On the other hand, when defending against their aggressors, the rest of the tarantulas in this subfamily need to first face the offender and then vigorously rub their hind legs against their stomachs. Aimed and shot at the enemy, a ball of stinging hairs can cause fatal injuries to small mammals when landed into their mucous membrane (the layer that covers the cavities and shrouds the internal organs in the body). Once thrown, the hairs leave a bald spot on the tarantula’s belly. “This new finding is a great contribution to the knowledge of the arachnids in Colombia and a sign of how much remains to be discovered,” point out he authors.